Recently we came across Medical Saunas, a new player in the industry based in Valencia, California. 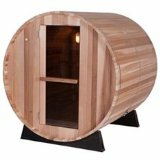 They claim to be the only sauna developed and recommended by doctors...they also make a lot of other claims on the site. Needless to say, we had to take a closer look. 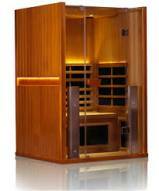 Medical Sauna is a division of a company called Medical Breakthrough. When you visit the company's website they feature videos of various doctors. We couldn't find any real info on the company itself, which is the first red flag for us. 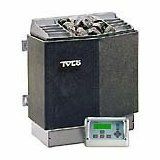 At any rate, getting back to the Medical Sauna site, They offer 5 different models on sauna: the Medical 2, 3, 4, 5 and 6 Plus. They give you a table comparing all of the models, but no real information about the wood, the heaters or any other components. They are supposedly made of natural hemlock, have anywhere from 6-12 heating units depending on which model you choose, and have various trademarked "technologies" that are not described anywhere. As you move up in the lineup, you get additional features and capabilities, including chromatic therapy, audio system and thicker paneling. There are not a lot of pros here to discuss. It is a nice looking site and they seem to offer some discounts to various groups as well as no sales tax in 49 states. We would like to see more transparency however. That might help us find a few more positive things to say about the company. Where should we begin....let's start with the name itself. On paper, the name Medical Sauna by MedicalBreakthroughCorp.com sounds great. We definitely believe in the health benefits of saunas here, the name is certainly catchy, and we're always on the lookout for medical breakthroughs. The company claims that their saunas are the only ones designed by doctors. Is this true? Who knows? We haven't surveyed all sauna manufacturers at this point, but perhaps someone at Medical Saunas has. It any event, we were hopeful that Medical Sauna's website would enlighten us as to who exactly the doctors are who "designed" their saunas, what their qualifications are, and how exactly they were involved in developing these saunas, but alas – we couldn't find that information on the Medical Sauna's website. They compare their products to "regular saunas", but again, we couldn't find any information on the site as to how exactly Medical Sauna's offerings differ from – let alone improve upon – anything else on the market. Perhaps we're not looking closely enough. The website has a lot of general information about the benefits of saunas, but one question to ask before you buy is why that general information – which is publicly available in countless other contexts – is more applicable to a Medical Sauna than any other saunas. We looked for this information on the site, but were unable to find it. Perhaps the most interesting thing on the site is a page entitled "Medical Sauna Treatment Saves Over 700 New York Firefighters". It’s an article about the New York Rescue Workers Detoxification Project that offered services to those exposed to toxins following the 9/11 terrorist attacks in NYC. Even after reading the page several times, we were unable to truly understand the connection between the "detoxification" project and Medical Sauna. 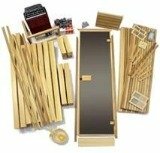 So a lot of info on saunas in general, most of which you can find elsewhere online. Not a lot of specific info about the actual saunas themselves. And a boast that "Medical Sauna Treatment Saves Over 700 New York Firefighters" that relates to a Scientology-connected treatment program that the FDNY "in no way" endorses. Not sure what to make of this. There are plenty of excellent options out there for those looking to make the significant investment in a sauna. In our opinion, we'd need answers to a number of questions before we spent our hard-earned money with Medical Sauna.